Here are all of the photos from the Britton side of my family. Single click onto an image to see it at full-size. 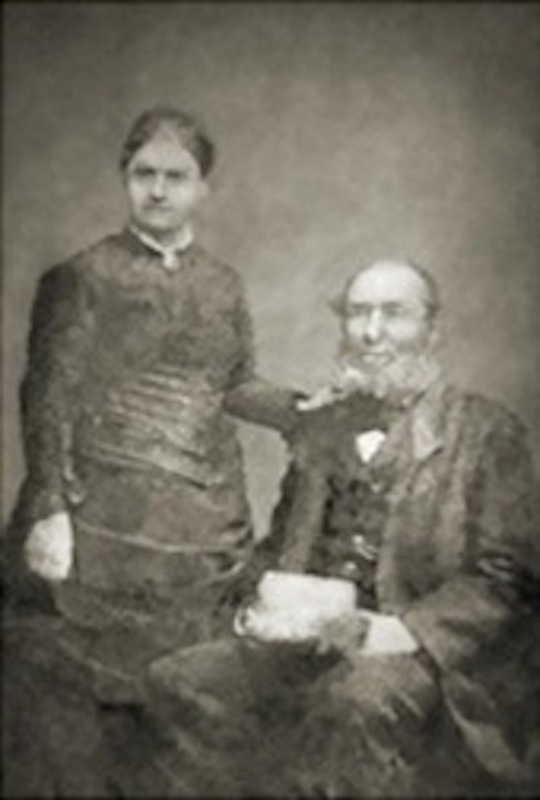 Florence Britton's parents, Joseph Ridgway Britton and Eliza Thomas, were married here on 12 November 1880. Florence sitting on the knee of Jane Heaton/ Freestone. Taken in Thirsk, Yorkshire, in about 1881. 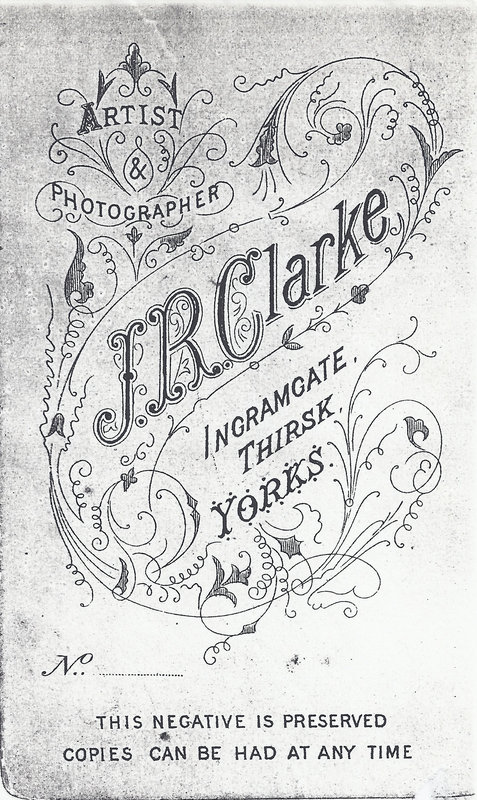 J. R. Clarke was a well-known photographer born in Stockton-on-Tees in 1840. 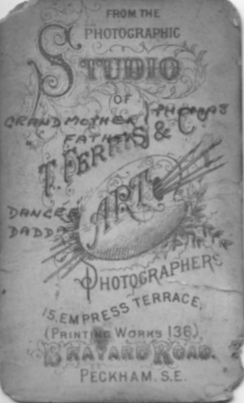 He set up a photography business in Thirsk in 1870. Ingramgate was the last of his three studios. His work is said to be "characteristically full of detail and carefully composed while often looking entirely natural". Many of his photos can be seen in Thirsk Museum. 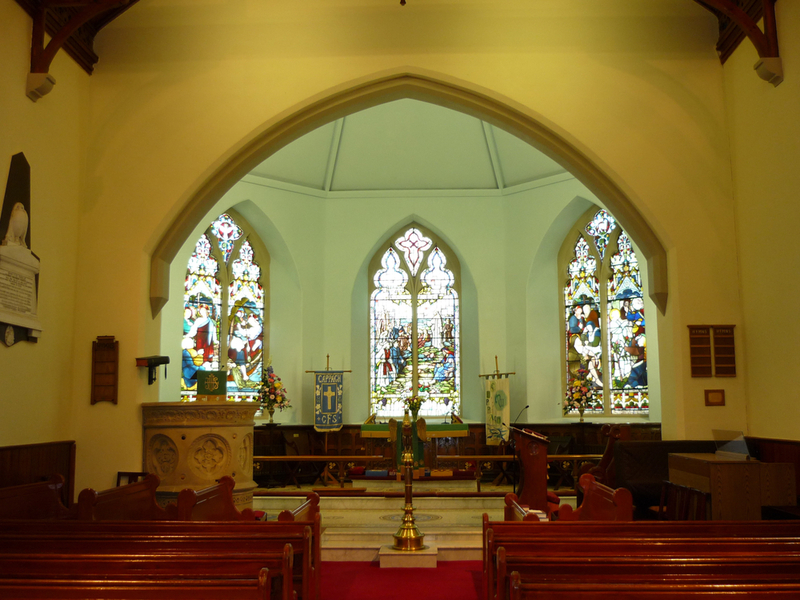 Florence Britton was baptised here on 6 February 1881 while still in the care of her parents, Joseph and Eliza Britton. 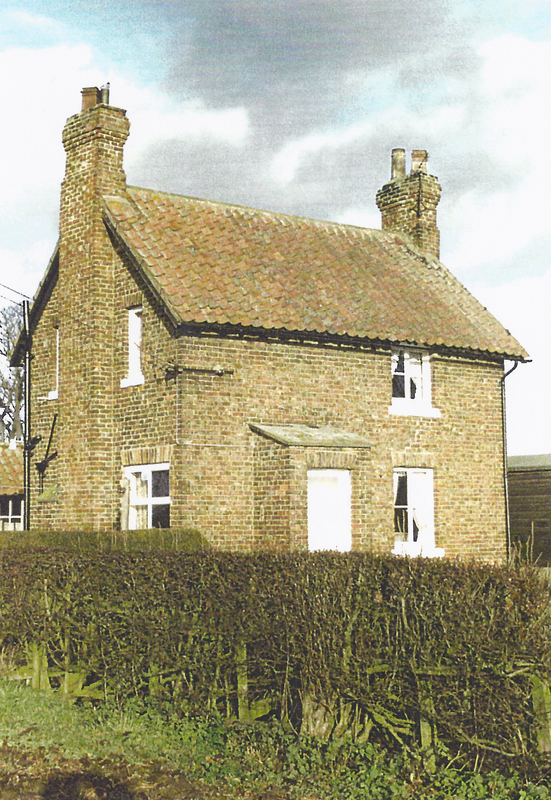 Was this where George Freestone, gamekeeper, and his family lived? Was this where Florence was abandoned by her parents between February and April 1881? Sale notice in local newspaper on 9 September 1995. Photo taken in 1992. Just the shell of the old hall remains. Photo taken in County Durham in the early 1900s before Florence left for New Zealand in 1908. The photographer, Thirlwell and Co., set up business at 21 Bridge Rd., Stockton-on-Tees in 1902/3. Photo taken in New Zealand in the 1930s/ 1940s. Provided by Stephen Watson, her great grandson. Photo of myself and my grandmother taken at 99 Smithfield Rd., Wanganui, New Zealand in about April 1943 when I was 14 months old. One of the last photos taken of Florence when she celebrated her 80th birthday on 29 November 1962. This was actually her 82nd. birthday. She died on 25 March 1963. 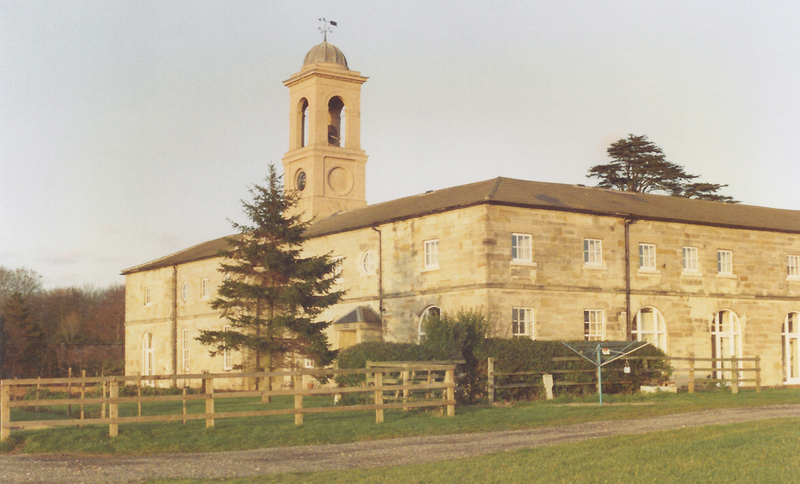 Joseph Ridgway Britton, Florence's "father", was born in these stables on 20 December 1857. 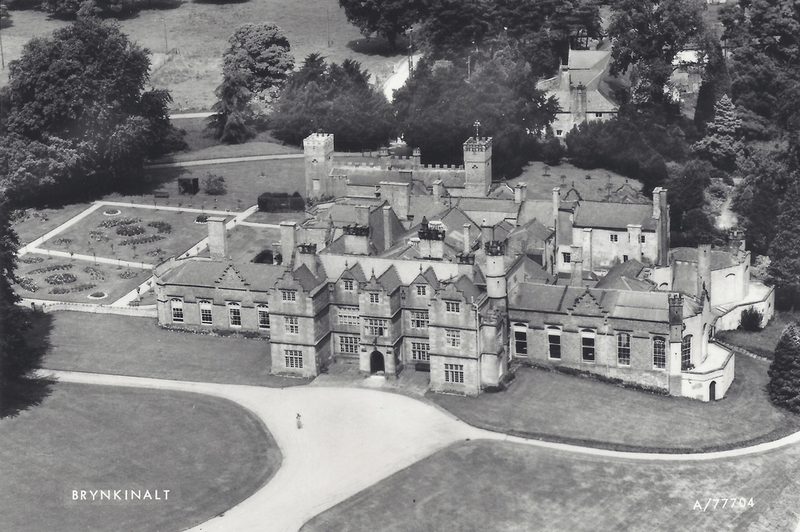 His father, John Britton, was coachman at Brynkinalt Hall. Home of the Trevor family in Chirk, Denbyshire, North Wales. Photo of my great great grandfather and his second wife. Discovered by Theo Pardoen in 2013 in a collection of old photographs obtained from his first cousin once removed, Yvonne Patricia Chirgwin, a great grandchild of Charles and Eliza Ann. Photo of Eliza Ann aged 76. Cropped from a photo of a larger family group taken in 1909 at the wedding of her granddaughter, Kathleen Gertrude West, and provided by Theo Pardoen. Photo of Catherine (Kate) Thomas, the eldest daughter of Charles and Eliza Ann Thomas and the half sister of my great grandmother, Eliza Britton (formerly Thomas). Provided by Catherine's great grandson, Theo Pardoen. Photo of William Henry West (standing) and who is presumed to be Andrew Thomas (sitting). 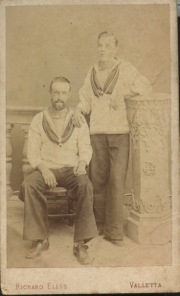 Taken in 1882 in Valetta, Malta, when they were both serving on HMS Alexandra. Andrew was the eldest son of Charles and Eliza Ann Thomas. William Henry West married Andrew's sister, Catherine Thomas, in 1884. Provided by Theo Pardoen. Photo of Annie Rhoda Johnston (nee Thomas), another daughter of Charles and Eliza Ann Thomas, and her family. Eliza Ann lived with this family in Portsmouth during the last years of her life. Provided by Theo Pardoen. Photo of John Alexander Thomas, one of the sons of Charles and Eliza Ann Thomas. Provided by John's grand-daughter, Mary Pearson. Charles Thomas was one of the seamen on the brig Daring who, along with sailors from other English, French, Spanish and American ships, were awarded this medal by the USA Government for "their exertions in saving several of the officers and crew of the US brig "Somers" in the harbour of Vera Cruz on 10 December 1846". The medal is considered a metallic masterpiece, engraved by Charles Cushing Wright; ten of the original medals were struck in gold and the remainder in silver. This is a photo of an exact replica in bronze of the original medal re-struck by the US mint (the box is antique but not original). Just ninety medals were struck in bronze, a smaller number than the published mintage of the silver specimens coined to be presented to those who helped save seven lives from the wreck, though the silver ones are far rarer today. This medal is sought after by naval collectors and shipwreck specialists alike. Silver medal awarded to Charles Thomas. It was sold by Nesbits Auctions, Portsmouth, on 20 May 2015, together with a letter from Charles and one from his wife, Eliza A., for £560. The seller was Patricia Thomas, the widow of Michael Thomas, the great grandson of Charles Thomas. Charles Thomas, my great great grandfather, was a coastguard here, near Inishbofin, for various periods in the 1840s, 1850s and 1860s. It is likely that Charles' daughter, my great grandmother, Eliza Thomas, was born in this area. My probable great great grandmother, Sarah Jane Fair, was a servant at this house near Falcarragh, Donegal at the time of her marriage to Charles Thomas. Charles Thomas married his first wife, Mary Jane Fair, in this church on 22 January 1849. Photo taken in June 2010. Andrew McCausland, Eliza Ann's father, farmed about 13 acres of land in Erganagh Glebe townland close to Cappagh Church. 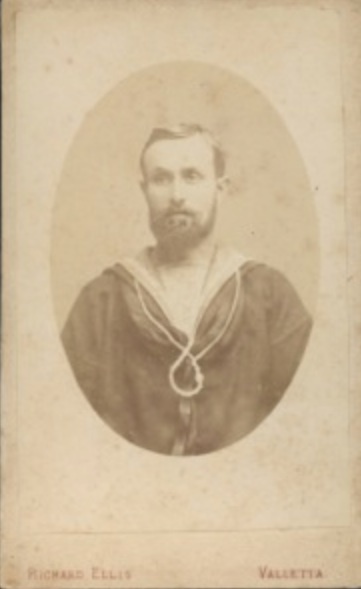 Charles Thomas and his family lived in houses in Caves Rd., St. Leonards, after Charles retired from the coastguard service. 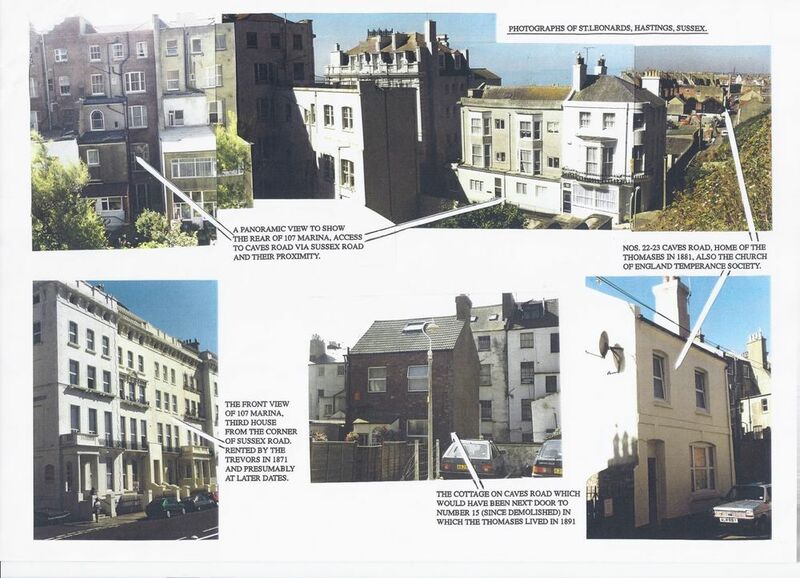 This panoramic view, composed of a number of photos, shows the close proximity of Charles' house in Caves Rd. to the house at 107 Marina on the St. Leonards waterfront where the Trevor family of Brynkinalt were staying at the time of the 1871 census.